Loving Care Providers is a bonded and insured home health care agency. We are licensed by the state of Oregon to work in Multnomah and Washington counties. We cover Portland and Beaverton metro areas. Many people need medical care for parents and elderly relatives these days. We work with individuals in their own home recuperating from illness, surgery, as well as adults suffering from memory loss, Alzheimer's dementia, Parkinson's disease or loss of independence. Loving Care Providers caregivers are fully trained, and screened with background checks, license checks and reference checks. 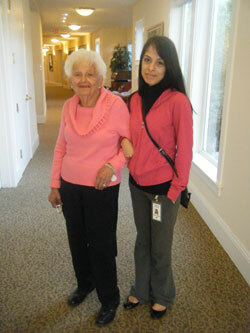 All caregivers are supervised on a regular basis. Our mission is to reduce your stress and ease your mind. "Our goal is exceptional non-medical care for your loved one in the comfort of their own home." Your loved ones are in good hands.